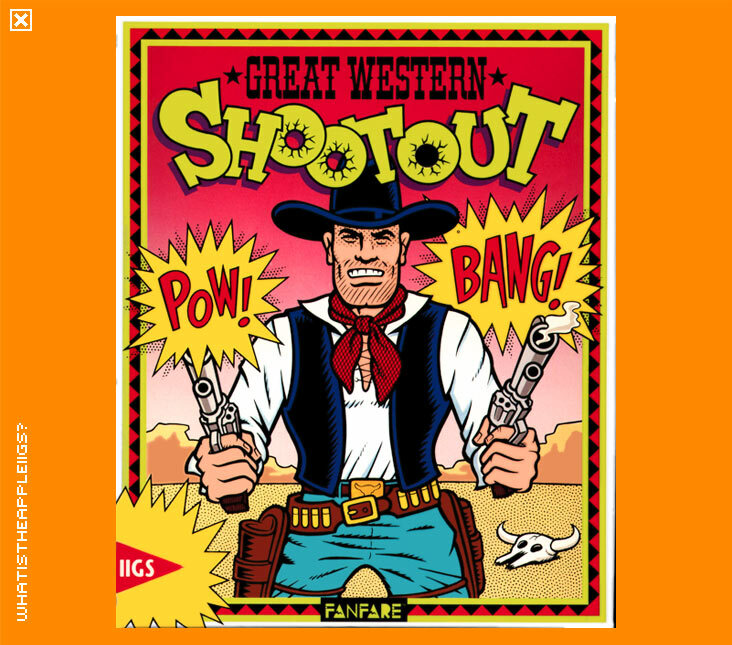 Great Western Shootout was a welcome addition to IIGS action gaming, namely because it filled the gap in point and shoot arcade games, like Operation Wolf. 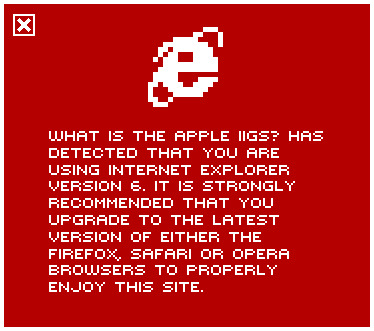 The game was entirely controlled with the mouse. The game involves you, a lone law enforcer called in to dispose of the local varmints. And they're just everywhere. If you've ever played Operation Wolf, or even seen it, GWS will be no problem to play. The action takes place from a first person perspective, and your actions are displayed by a cross hair on screen. Move the mouse, point the cross hair at the bad guy and click. Don't shoot any innocent bystanders though...unless you want to hear yourself say, cowboy style, "Whoops". Any non-badguys you do shoot will penalise you by taking away from your own health. You aren't limited by ammunition as such, rather you limited by the rate at which you can fire and reload your six shooter. This is the most difficult part of game play, which will become apparent in the later levels as the screen easily fills up with bad guys waiting in a line to take a shot at you. There will be so many in fact, that you will definitely take a few hits, because you won't be able to reload your six-shooter fast enough. The last level is very, very, very hard. 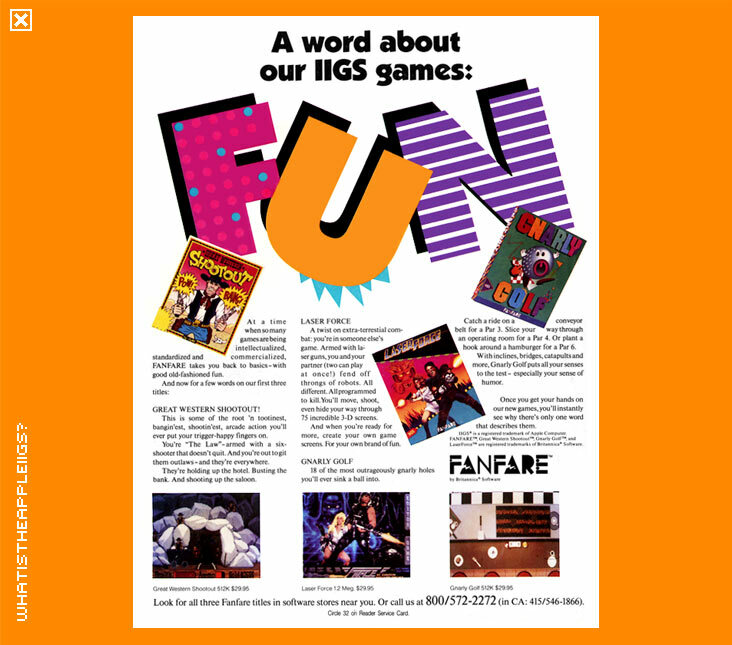 GWS was created by Scott Patterson and Matt Crysdale, while the game itself is nothing spectacular or ground breaking, as programmer and artist, Paterson and Crysdale ensure that it's a very solid IIGS game. Especially, Matt Crysdale's artwork is exceptional in this game, having drawn the many different scenes which set the stage for the gun fights.